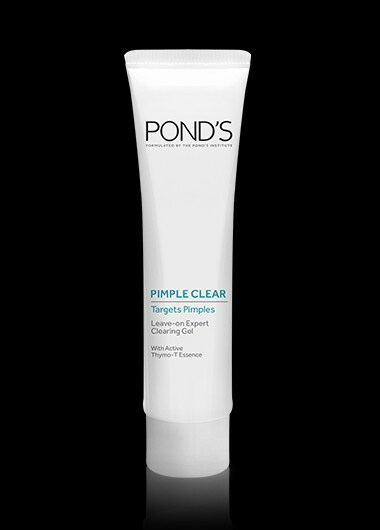 Pond’s Pimple Clear Leave on Clearing Gel soothes skin, clears pimples, reduces redness. Apply the gel twice a day onto all areas of the face. Use after Pond's pimple clear face wash. I think the most unpleasant thing about pimples is that they eat away my skin and leave dark marks. Pond's Pimple Clear Leave-On Expert Clearing Gel has helped restore my skin and treat away the dark marks just by applying on affected areas only. I love that the product is lightweight and non-sticky. I have never had problems with acne and pimples, but what I love about this gel is that after use it leaves my skin moisturized. It has lightened precious dark marks and made my skin glow! Love it! I used to have pimple problems, it was such a headache but not anymore ever since i have started using Ponds Piimple clear my skin is smoother, lighter and more radiant. It gives me that all day shine.Thank U Ponds, you saved my face. This product was relatively good. It was a bit harsh on my skin because I’ve got combined sensitive skin but I just figured I shouldn’t use it as a daily use product. It did give me good results. This cream managed to clear up my monthly period pimples in no time!